No lawyer or notary required. Save hundreds of dollars in legal fees. Simply answer the questions, then print and sign your Will at home. Use the 24 page guide to help you fill out the form. Full 30 day money back guarantee if you are not completely satisfied. 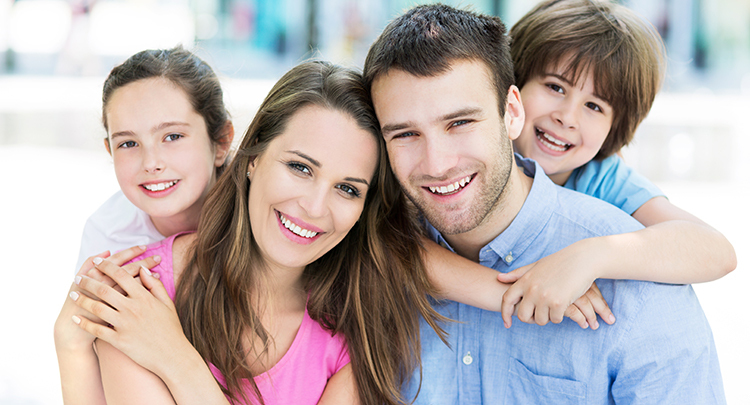 The Québec Will Kit has been developed with over 19 years experience in the estate planning business. 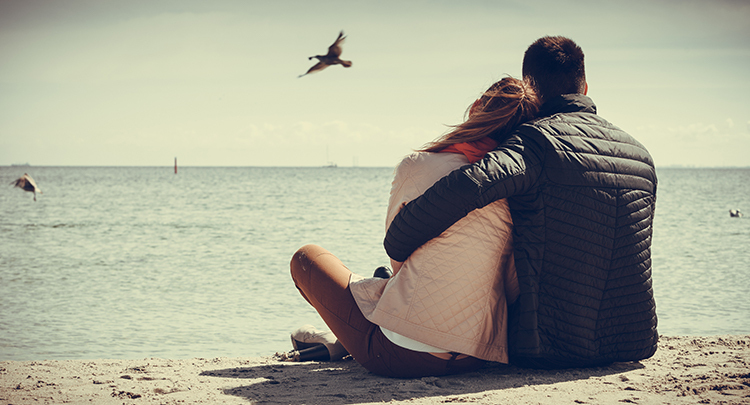 We have created a downloadable Step-by-Step Guide and an interactive, downloadable form that allows you to prepare a custom Will, personalized to your situation. Once signed in the presence of two witnesses, you will have a fully legal Last Will and Testament, that complies with the Québec Civil Code. The Québec Will Kit includes everything you need to prepare your legal Last Will and Testament in the Province of Québec that complies with the Québec Civil Code. 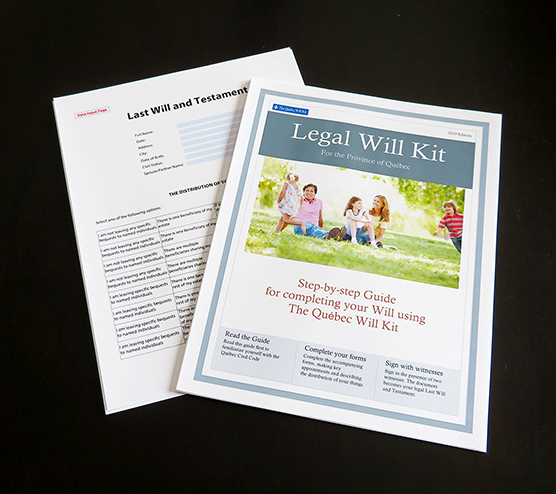 When you order The Québec Will Kit, you will receive an interactive PDF form as well as a digital version of the 24 page Step-by-Step Guide that guides you through the process of preparing your Will. We do NOT send the kit to you by postal mail. Instead, you will receive it instantly by email. You will need the free Adobe Reader installed on your system in order to use the interactive PDF form. It is a simple form to complete, and just needs to be printed and signed in the presence of two adult witnesses to make it a fully legal Will. There is no requirement to use the services of a lawyer, notary/notaire, or Commissioner of Oaths to prepare a Will using The Québec Will Kit. You can download the Step-by-Step Guide for free by clicking on the button below before deciding whether to purchase The Québec Will Kit. Made before a notary and at least one witness. This type of Will is governed by strict formal requirements executed before a notary acting in his or her capacity as a public officer. As a result, it is usually of high quality and very difficult to contest. It is exempted from the formalities of probate. However, it can be expensive and inconvenient to arrange an appointment with a notary. It is also more difficult to keep updated when changes are required. Handwritten entirely by the "testator" (you) and signed by them, with no other formal requirements. 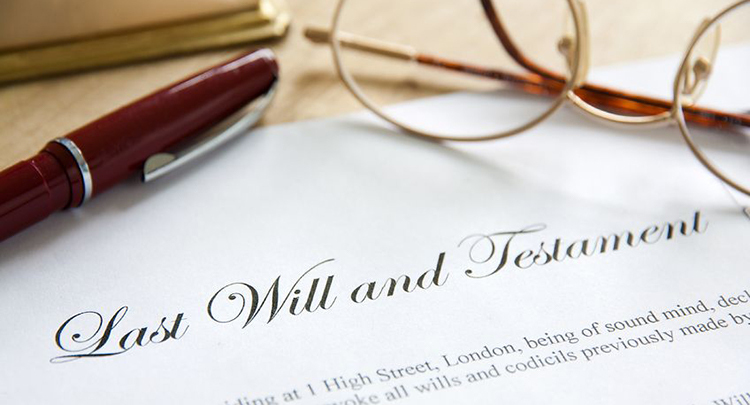 However, the Will must be extremely clear and unambiguous, and the interpretation of the instructions in the Will are made by a judge during the probate of the will. This type of Will typically costs nothing, but it frequently contains errors and omits critical clauses. A holographic Will is never a good idea. Will made in the presence of witnesses, sometimes called a "Will following the form derived from the laws of England". It must be signed by the "testator" (you) before a minimum of two witnesses of full legal age, who must also sign the Will. It is not required that the Will be written by the testator. It can be drafted by another person. To be legally valid, the testator must declare in the presence of the witnesses that the document effectively constitutes his or her Will. The third option is the best, using The Québec Will Kit. Our 24 page Step-by-Step Guide and interactive PDF form will allow you to create a legal Last Will and Testament that can be signed in the presence of two witnesses. There is no requirement to have this document notarized or signed by a Commissioner of Oaths (or Notaires) to make it legal. Is this different to a Canadian Will Kit? Yes. The laws of Québec are very different from the rest of Canada. If you have assets in the Province of Québec, or are a resident of Québec, then you should not use a generic Canadian Will Kit. The kit available from this website is specifically written to comply with the laws of Québec. Is the Will kit legal? Yes. In Québec, the document becomes a legal Will as soon as it is signed in the presence of two adult witnesses. How do I make my completed forms legal? 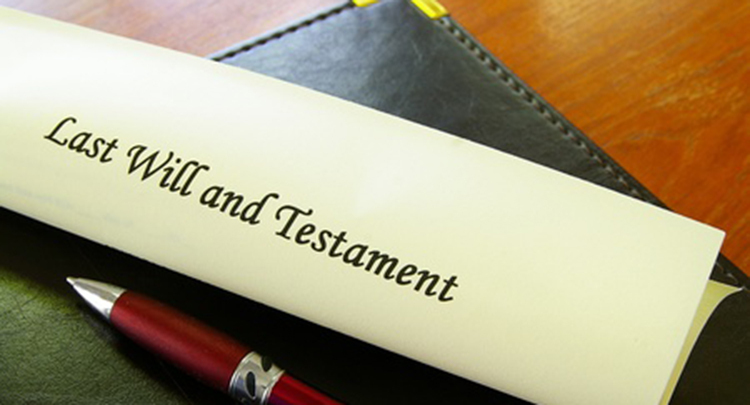 To make the document a legal Last Will and Testament, you must sign it in the presence of two witnesses who are adults of sound mind who have nothing to gain from the contents of the Will. There is no requirement for the witnesses to be notaries or lawyers, just any two independent adults. Do my forms have to be notarized? There are three different types of Will in Québec: a handwritten (or holographic) Will, a notarial Will which is signed in the presence of a notary, and a "Will made in the presence of witnesses". This kit allows you to create the third type, which means that there is no requirement to have the document signed by a notary. Any two adults who have nothing to gain from the contents of the Will can be witnesses to the signing. We would not recommend that a beneficiary (legatee) or any family member of a legatee serve as the witness to the signing of the document. You can choose friends, neighbours or colleagues at work. How long does it take to prepare a Will? The kit comes with a 24 page Step-by-Step Guide that explains each part of the process. Once you have decided on some of the key appointments, such as the Liquidator, then the Will can be completed in about 20 minutes. You would then print and sign the document in front of witnesses to make it a legal Will. Is the Will kit suitable for me? The Québec Will Kit is suitable for straightforward situations. There are certain circumstances where we would recommend that you do not use this kit. If you have any doubts, please send us an email at [email protected], or use the CONTACT US form below, and we will be able to provide guidance.